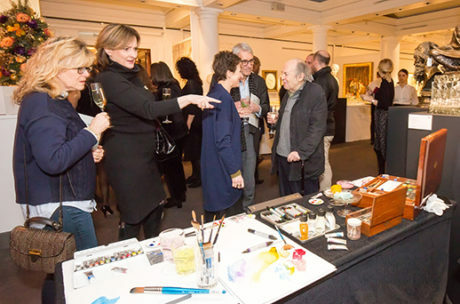 On Monday 11th December Winsor & Newton supported House of Illustration to help raise funds through an art auction at the prestigious Sotheby’s. The evening charity event, titled First Editions: Recovered, featured an exhibition of works created by high profile artists, who each created a unique take on a famous book cover. Artists chose a book they felt a connection to, and then created a new jacket or artwork in response to it. 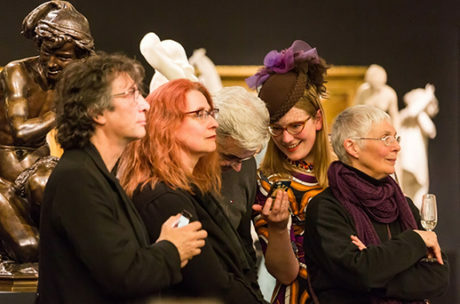 Artists included Quentin Blake, Maggi Hambling, Raymond Pettibon, Lauren Child, Peter Blake, Gerald Scarfe, Richard Wentworth, Axel Scheffler, Audrey Niffenegger, Neil Gaiman, George Shaw, Paula Rego and Shaun Tan, and other well-known figures attended, including authors Jacqueline Wilson (Tracy Beaker) and Audrey Niffenegger (The Time Traveller’s Wife). 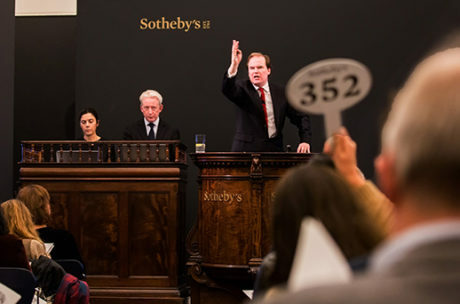 In total, the auction raised around £160,000 for House of Illustration, which was a triumphant success and more than double the estimate of the artworks. 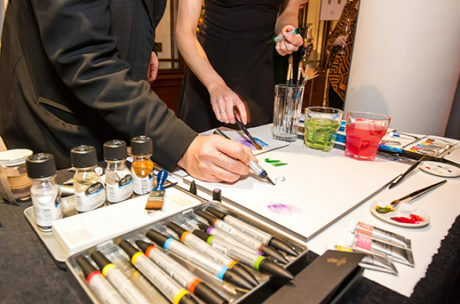 On the evening Winsor & Newton hosted a watercolour trial table, which was very popular. 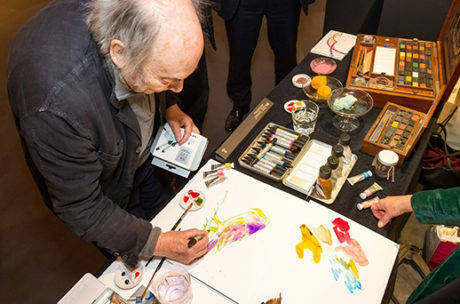 Sir Quentin Blake was the first to try out our Water Colour Markers, which were displayed alongside historic items from the Winsor & Newton. Visitors commented how special it was to see history alongside the innovation of the Water Colour marker pens. Led by Sir Quentin Blake, House of Illustration is the world’s only gallery dedicated solely to illustration and graphic arts, showing continuous exhibitions, running education programmes and offers a yearly artist residency. Find out more about House of Illustration on their website.